Australian Big Cats: Super Cats?? Someone decided that what we needed in Australia was to allow an African Serval crossed with a felis cattus/Asian Leopard Cat. This is brilliant thinking.They were also suggesting that if animals are 5 generations removed from their wild ancestors then everything is alright. Now, if my German Shepherd was lost in a remote part of Australia..he would start to kill native animals. How many generations would he be separated from wolf ancestors.? 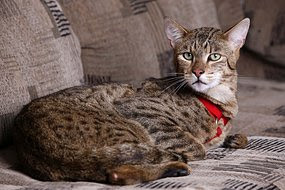 Also, the media keep saying Asian Leopard..its an Asian Leopard Cat...which is a jungle cat and not panthera pardus.